The Haikou Jiangdong New District includes an ecological region boasting a national nature reserve and an integrated area of industries and urban facilities. An aerial view of the Haikou Jiangdong New District. 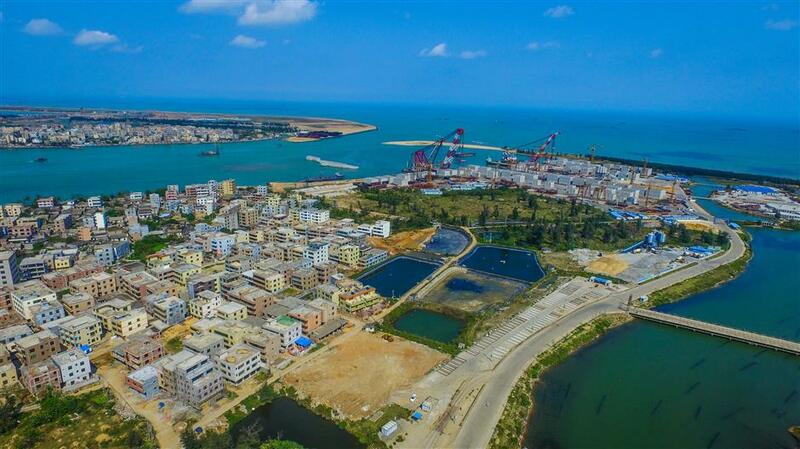 China's island province of Hainan has announced the establishment of a new area in the capital Haikou to enhance development of the China (Hainan) Pilot Free Trade Zone. The Haikou Jiangdong New District, which covers 298 square kilometers on the east coast of the city, includes an ecological region boasting a national nature reserve and an integrated area of industries and urban facilities. Construction is scheduled to be basically completed within seven years, said Fu Xuanchao, director of the provincial development and reform commission. Bidding for the layout scheme of the new district by global design companies has been launched. In April, China announced the decision to support Hainan in developing the whole island into a pilot free trade zone, and gradually exploring and steadily promoting the establishment of a free trade port with Chinese characteristics.